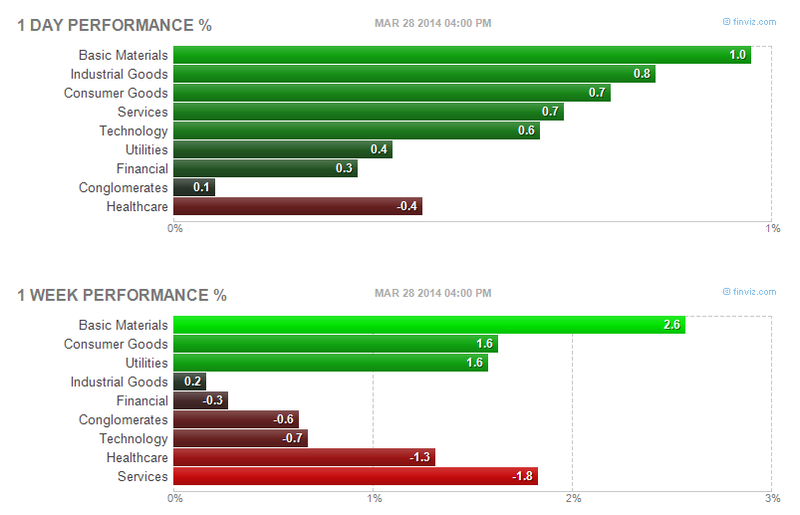 Find best performing sector stocks of week 13, 2014. 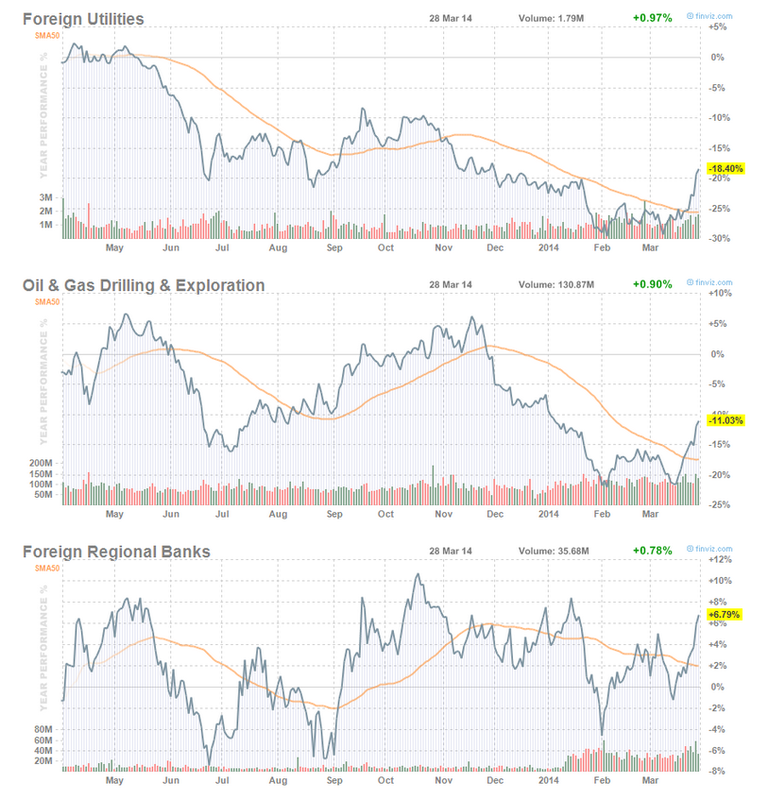 Top stock industries are Foreign Utilities, Oil & Gas Drilling & Exploration, Foreign Regional Banks, etc. This post will look into the top performing stocks, industry, sector, and market capitalization. You can invest in your brokerage or retirement accounts (IRA). Major market indices have mix returns including flat or slightly down or down sharply. The Dow Jones Industrial Average has a weekly return of 0.12%. NASDAQ Composite has a weekly return of -2.83%. Looking into top foreign regional banks can provide an insight what stock market will bring during upcoming period. 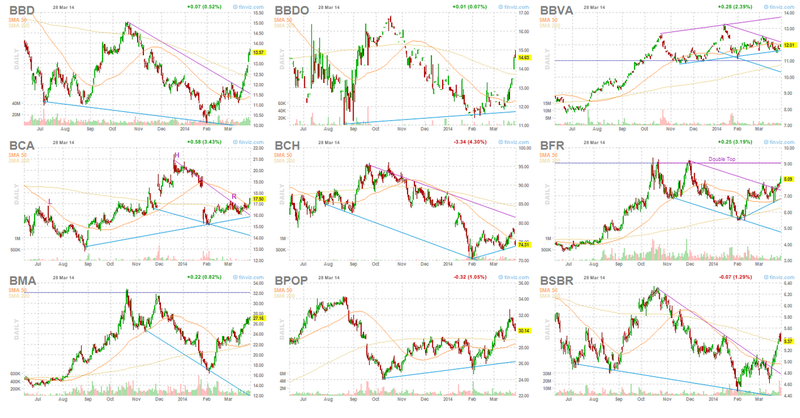 Some of these stocks are poised for a big gain. Retail or institutional investors may want to rotate to this sector for undervalued sectors. Woori Finance Holdings Co., Ltd. Looking into the sector, you can find defensive sectors have gone up. Does this mean investors are rotating out of hot stocks (i.e. momentum) to value stocks?